Penny is a senior paralegal with extensive experience working on commercial bankruptcies, corporate reorganizations, bankruptcy litigations and commercial litigations. Penny has knowledge and experience in all phases of the bankruptcy process. She manages cases from initial client interview through exiting of the bankruptcy process. Penny has assisted with reorganization of healthcare facilities, representation of trustees in the reorganization of healthcare facilities, reorganization of oil and gas-related business, and many general bankruptcy cases. 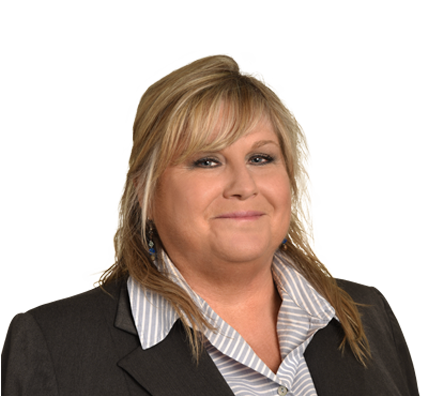 Penny has experience in all phases of the litigation process at the state, federal and appellate court levels. She manages cases from initial investigation through large-scale document production, arbitration, pretrial preparation and trial. Penny has assisted with bank collection cases, receivership cases and many general litigation cases. Assisting attorneys in the preparation, organization and management of documents for debtors and creditors in bankruptcy filings. Working closely with clients and inter-departments, particularly on bankruptcy-related matters, to facilitate the completion of transactions. Assisting with preparation and filing of healthcare facility bankruptcy cases. Assisting with preparation and filing of oil and gas-related bankruptcy cases. Assisting with successful representation of lender in arbitration of claims for international trade credit insurance.